One of my happiest thoughts as editor of Ecumenica is the pleasure of seeking everything I can find in the way of news on religion/spirituality and culture for the Facebook fan page belonging to the journal. It is a personal reminder that the world is full of a number of things—riveting, thought-provoking, heartbreaking, ridiculous, wonderful, awful things—and it makes me exceedingly happy to have the opportunity to find and share them with other people who find these things fascinating. There are stories that pop up on everything from religion and public policy to the increasing number of converts to the Jedi faith (yes, it is now a registered religion), and many of them are temptingly ripe for scholarly attention. We also provide links to conferences, symposia, and publication opportunities that span the whole interdisciplinary spectrum. Social media is one way to start the conversation, but of course the pages of this publication are where the real work happens. In this issue of Ecumenica our feature articles take up ugliness and sublimity. In William Conte’s “Trans(Per)forming Abjection: St. Simeon Stylites,” the author considers the physical suffering of the first and most famous of the “pillar saints,” exploring the ways that physical filth and abjection can become key performative signs of holiness. John H. Baker, on the other hand, examines the ways that ostensibly holy individuals and actions can become sordid in the work of British playwright Howard Barker. We have a bumper crop of highlights in this edition—interviews with solo performers Scott Langdon and Hal Holbrook, and profiles that explore the community-building performance work of Amy Steiger and her students, religion at the fringe festival, and the lovely puppet and performing object work in Dan Hurlin and Dan Froot’s production Who’s Hungry-Santa Monica. 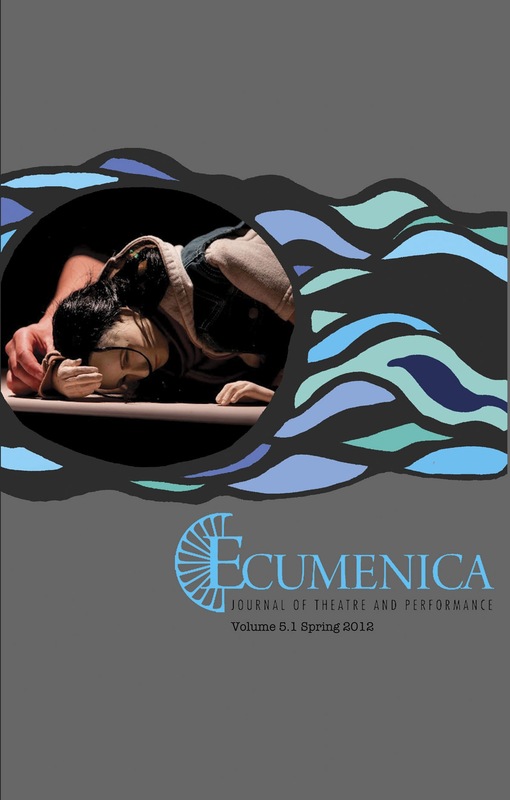 In addition to our print offerings in the spring edition, Ecumenica continues to expand its online content. We will be adding a series of special interviews with contemporary performance artists, starting with the ecofeminist work of Annie Sprinke and Elizabeth M. Stephens and their “Love Lab.” This is the first step in a new phase for Ecumenica, which will also include opportunities for guest blog editorials and other experimental scholarship projects. And last, we are excited to announce our upcoming fall special issue: “Faith, Politics, and Performance.” The timing is perfect—we are primed for a release date just before the November U.S. presidential election—and we have some extraordinary content lined up. See you at the polls, on the web, and in our pages!